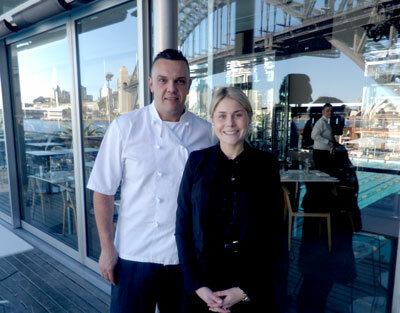 Some restaurants spend years investing their time and energy to be part of the exclusive chef hat club, while others prefer to devote their resources in keeping their customers happy, such is the case at Sydney’s Aqua Dining. 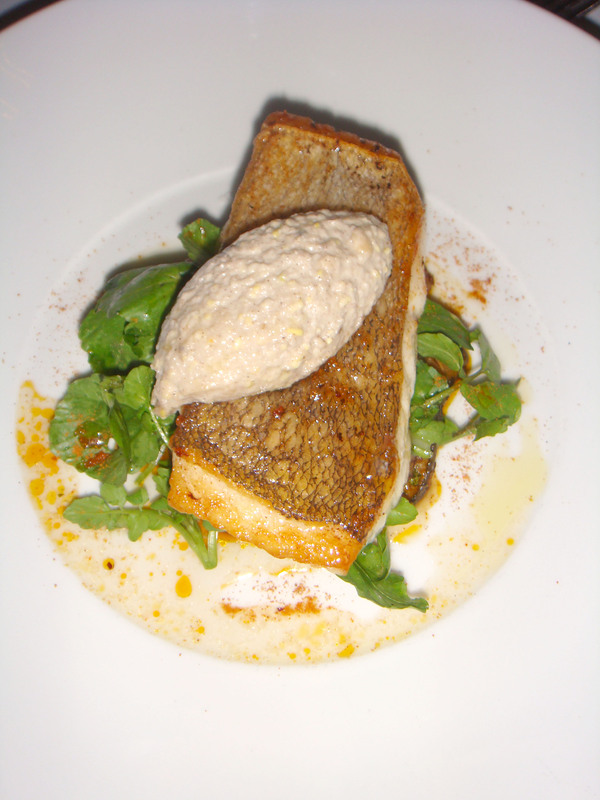 The restaurant, which opened in 2000, is part of the AQUA Dining Group, owned by Bill Drakopoulos. 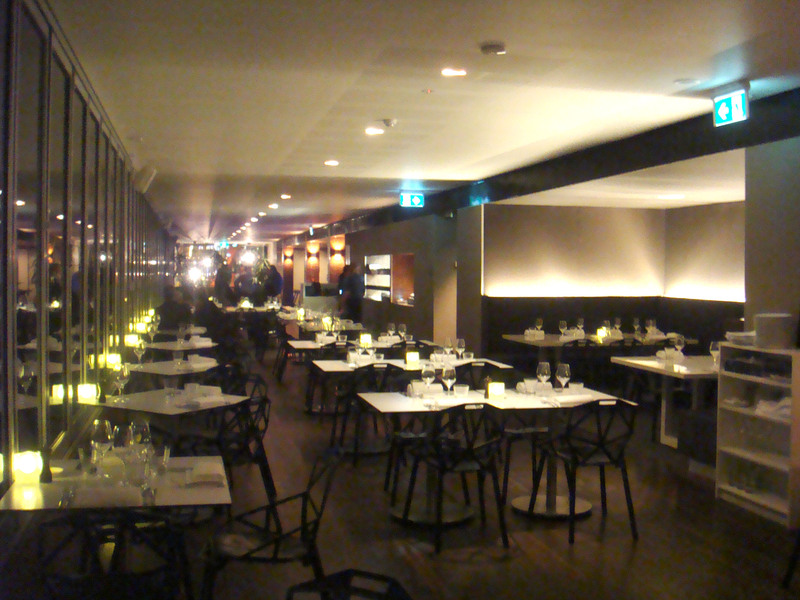 As well as Aqua Dining, Drakopolous also owns the four restaurants that bear the “Ripples” moniker at striking waterside locations such as Milson’s Point, Chowder Bay, Sydney Wharf and Whale Beach. Aqua Dining offers 180-degree water views through floor-to-ceiling windows. Photos just don’t do the vista at this restaurant justice. To one side, you can watch as fitness fanatics energetically swim lengths of North Sydney Olympic Swimming Pool. Or, for those who have forgotten to exercise that day and prefer to eat their meal and sip their wine guilt-free, guests can angle their seats out towards Sydney Harbour, where the Harbour Bridge and the iconic Sydney Opera House loom impressively overhead. Renovations by renowned architect Sidney Koh in 2011 have transformed the dining room into a fresh, uncluttered space with pearl white tables and chairs with natural beech framing. Drenched in natural light, with a relaxed and casual vibe, Aqua Dining combines everything that a waterside restaurant should. Food is still the most important component in a meal out, of course, and Aqua Dining has that area covered, too. The 2011 renovations also instigated a new Italian-influenced menu under Executive chef Anthony Redondi. Before his time at Aqua Dining, Anthony was Head Chef at Trattoria La Vigna in Camden and prior to that, Executive Chef at the Stamford Hotel in Circular Quay. On the day we visited, Anthony had just returned from a two week trip to the United States where, together with Drakopolous, the duo explored new ideas for the restaurant and menu. The effort that the Aqua team invests in ensuring that the restaurant stays at the cutting edge of the hospitality industry shows. 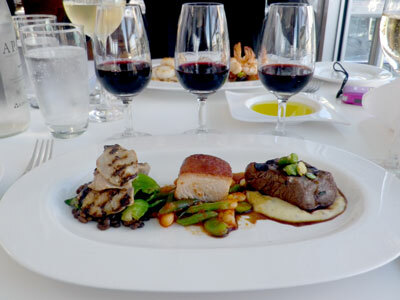 From the $39 “White/Red Wine Flight” dining special to the restaurant’s sleek aesthetic, all elements of the Aqua experience have been well researched and professionally implemented. Harbourside dining rarely gets any better than at The Deck. While the entrance is hardly glamorous – under the Luna Park jaws with the garish flashing lights – once inside, The Deck is a little haven. Despite what you may assume, there are no kids yelling and screaming nor is there any carnival music blaring. The only noises to be heard are the celebratory clinks of cocktail glasses and the soft acoustic music from the restaurant’s sound system. As we take our seat beside the floor-to-ceiling glass window, we’re momentarily silenced by the view. The huge wrought iron panels of the Sydney Harbour Bridge loom overhead while the sparkling lights of Circular Quay remind us how close we are to the city. We look slightly to our left and the Opera House is proudly illuminated. Cruise boats and yachts returning to the harbour after a day at sea look like tiny lights on the water, bobbing up and down, as if they’re dancing in front of us. Crowds of suits and corporates momentarily block our view as they disembark the ferry at the Milsons Point stop just below us but we don’t mind, we have the whole night to absorb this special place. As the sun slowly sets, we hurriedly order, not wanting to miss a moment of the view. Efficient waitresses, dressed in navy blue striped shirts, hover around, ready to fill our water glasses, top up our wine and replace napkins. Our seafood platter-for-two pays tribute to Australian seafood and reminds us how spoilt we are to have such fresh food right at our fingertips. A Mediterranean fish soup, served in small china espresso cups, acts as a delightful amuse bouche. The flavours are subtle yet fresh – the perfect entrance into a meal. Chorizo and pine nut stuffed baby squid take the dish to another level while the crisp, cumin-crusted fried whitebait are simply moreish. The combination of the whitebait’s crunchiness and saltiness keeps the hand moving from plate to mouth, in a rather speedy manner. A crisp sauvignon blanc from the extensive wine list, which features both local and international wines, works perfectly with the dish. In an attempt not to confuse the palate, we continue on our seafood frenzy. The blue eye Trevalla is moist and sided with a gorgeous chermoula spiced zucchini, eggplant and pine nut tartar. The golden seafood stew is anything but stew-like however it is the side of green beans that stands out most. It’s funny how something so simple can leave such a mark – the crunchy, bright green sticks are doused in lemon juice and quality extra virgin olive oil with a small sprinkling of sea salt. It fits the bill and brings each dish together. We finish our meal and despite spending the night gazing at the view, we continue to watch the city’s lights, not ready to leave. The Deck is located at Milsons Point, just inside the Luna Park Face. It is five minutes from the city and is easily accessible by train, bus, ferry and car.